Prime Minister Narendra Modi said the party failed to confer the Bharat Ratna on Ambedkar when it was in power. 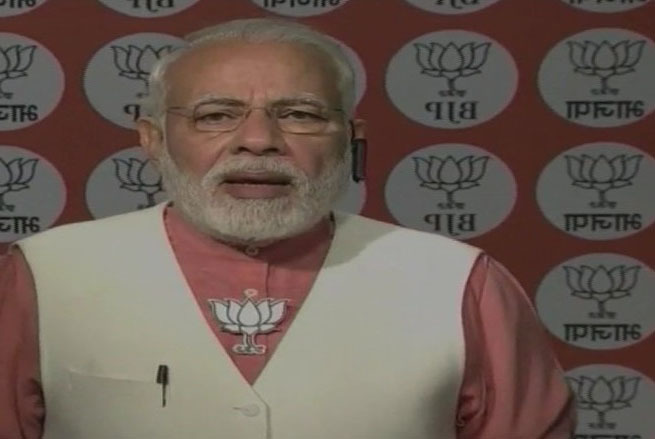 Bengaluru: Reaching out to Dalits and other backward communities in poll-bound Karnataka, Prime Minister Narendra Modi today said his government was trying to fulfill B R Ambedkar's dream of a powerful and prosperous nation. Modi, while addressing the SC, ST, BC and Slum Morcha workers of Karnataka BJP via Narendra Modi app, said, "Our government has made the SC/ST (Prevention of Atrocities) Act more stringent". "We are trying to fulfill Ambedkar's dream of a powerful and prosperous nation," he said.